YuumiARIA started its collection line in 2011 after remaking design based on vintage clothes since 2008. The concept is to combine the rugged function of men’s clothing with a more feminine design. For this spring they've released a pair of unusual yet striking pair of trousers. 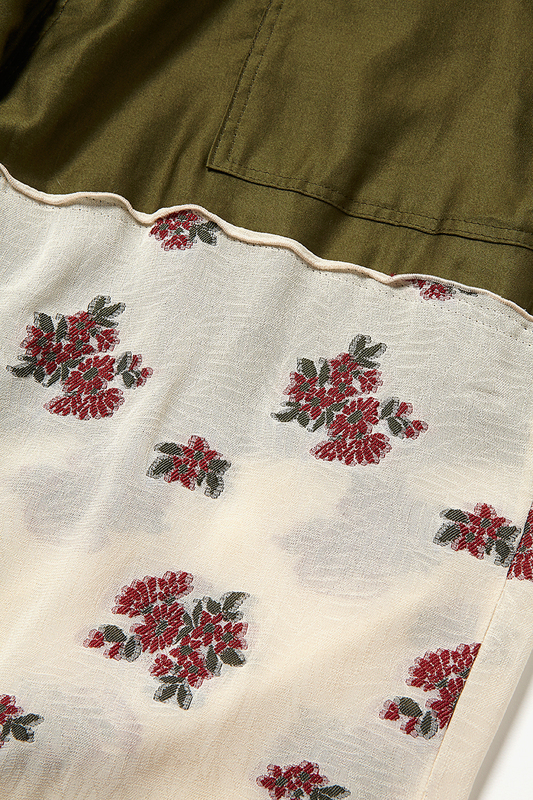 The Docking pants is switching material from the knee downwards, featuring a BDU upper and a unique design with floral embroidery under. The side of the hem also contains a deep slit which makes this a perfect pair of trousers for the warmer months. Available now via COVERCHORD.